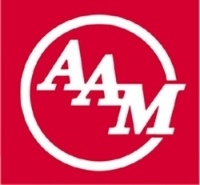 American Axle & Manufacturing Holdings Inc. reported improved first-quarter earnings thanks to strong North American truck and SUV sales. The Detroit-based supplier of axle systems said today it recorded net income of $53.2 million on revenue of $969.1 million for the quarter that ended March 30, compared with income of $33.6 million on revenue of $858.8 million in the same quarter last year. American Axle also continued to increase non-General Motors sales, which grew by more than 14.5 percent to $328.9 million from $287.8 million in the same quarter last year. GM remains its largest customer. The supplier also increased its content-per-vehicle value to $1,676 in the quarter, as compared with $1,655 in the fourth quarter of 2014. "(American Axle) is off to a great start in 2015, with increased North American production volumes and improved operating efficiency driving sales growth and margin expansion," CEO David Dauch said in the company statement.